World of Warcraft’s second hero class goes live this week, and there’s a lot more to Illidan Stormrage’s elite Demon Hunters than meets the blindfold. Sometimes they can triple jump. 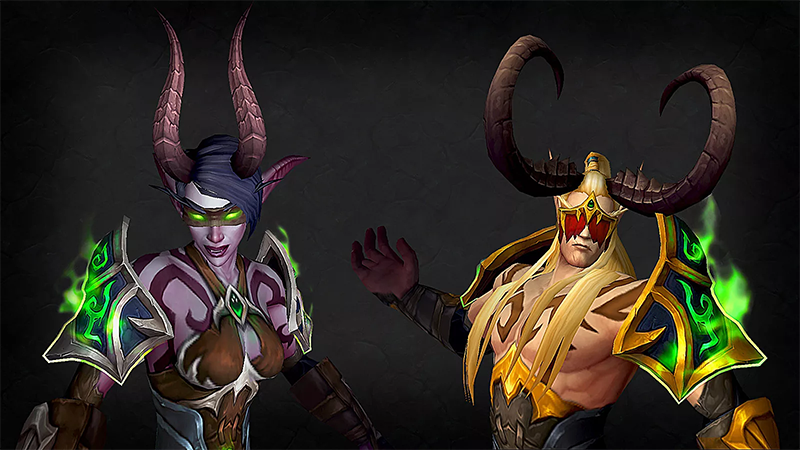 Blizzard’s Demon Hunter developer preview will tell you all about them. Players who’ve already purchased the Legion expansion pack can become those guys on Tuesday, August 9. A Demon Hunter’s life isn’t easy. Not only do they have to choose between tanking or damage-dealing roles, they constantly struggle to maintain a balance between the inky blackness in their soul and their former selves. The conflict transforms them into twisted beasts, at which point they all go out to Goth Night at the Masquerade, where they smoke cloves and sulk. I might be explaining this badly. Or perfectly. Perhaps I am just upset that Gnomes can’t be Demon Hunters. You should probably just watch the video. I actually love the dashing and jumping. Always been a big fan of more mobile MMORPG classes. They’re just so . . . Elvish. I guess I’ll give one a try on Tuesday.